When I started my internship with Compass Media, I thought that I knew next to nothing about tourism marketing. After jumping in, I discovered that knowing and learning are continuously intertwined. Here are three things I learned about learning during my internship. My main role at Compass Media was to research best practices for their Southern travel website, VisitSouth. I spent the first week familiarizing myself with technical terms and tools before it dawned on me that I should first get to know the product. Taking the leap from theory to practice shifted my learning to a hands-on process. The fear that I didn’t know what I was doing slipped away because, well, I was doing it. The same went for SEO and web analytics tools. Once I started actually using these tools, things came together much easier. Realizing that I didn’t need to know every last detail lessened my stress and helped me pinpoint the most important areas of focus. Marketing is often about numbers and statistics, especially online marketing: unique visits, bounce rates, keyword rankings. Although I was new to the business side of it, my personal travelling experiences provided a particular insight into tourism marketing. This even mimicked a huge trend I found in tourism marketing: user-generated content. Where my experiences built my knowledge, others’ experiences built the platforms I researched. Making this connection helped me forward my research with confidence, and I often found that my intuition was backed by analytics that I found much later. Although my main responsibility was working on VisitSouth, I also had the opportunity to work on other projects. I attended a press event for the Sweet Home Saving campaign where I dressed up as a crewmate in support of the local U.S.S. Alabama at Battleship Park. I made cold calls to local businesses to update our directory. I helped to frantically assemble a quarterly report. And, I cheered on children during a beach games event. Working on these various projects gave me a more holistic perspective of the marketing puzzle. Understanding these diverse projects – and getting to know the people behind them – helped me develop my main project and final report. I can’t say that I now know everything about travel marketing. But, over the course of my six-week internship, I certainly learned a great deal. Working at Compass Media taught me that recognizing the importance of each aspect within a company is crucial to success at any work level and in any field. All you have to do is take the leap and jump in… learn by doing, work on projects outside of your comfort zone, don’t be afraid to use your experiences, and get to know your company and the people behind it. 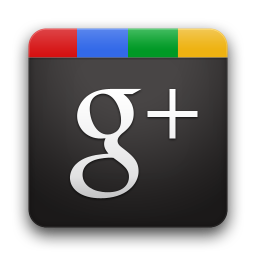 What Is Google+ and Why Should I Use It?Google+ is a mystery to many, and it is no wonder. Is it just another social network? Well, not really. It boasts a powerful set of tools for business, as well as working as a social network for individuals. A huge advantage for local organizations/businesses of Google+ right now is that integrates with Google Search. Using the information on Google+ really helps Google search deliver more targeted, relevant traffic. If you put your business/organization on Google+, it helps Google to better understand your the organization, which in turn lets the search engine tailor more targeted results for key words. The best feature of Google+ is certainly the way the service seamlessly plugs into search, Gmail, Local and YouTube. Also important is the role Google+ plays in search - the more relevant content you have on your Google+ page, the more advantage you will have in natural search. Another possible application your business can utilize is Hangouts. Video conferencing, virtual focus groups, the possibilities are still being discovered. How to set up your Google+ page. These folks say it better than I can, so click the link and read about how to set up your page. How to set up a Google+ Local Page. This is very important for businesses with a physical presence. You will want to set up a Google+ Local page so that people can find information about your physical location quickly and easily. Customers will be able to locate maps to your location and will be able to quickly see relevant information, such as business hours and phone number, as well as any information you choose to share. So how do you maximize your Google+ efforts? There are many ways, and while some follow the usual social media rules, others are unique to Google+. For example, we all know how important it is to use photos in social media. Google + takes this to the extreme because it puts a lot of importance on photos. Uploading a lot of relevant photos will increase the buzz around your business and start conversations. Always use the “recommended links” section on the “About” tab to link to popular blog posts and articles on your company website. Along the same lines, you need to always cross-promote your blog posts on Google+. Link those accounts and ensure your website is directly connected to Google+, whether it is a blog-style or a traditional website. When you have posted links to popular and interesting content, ask your followers to share your posts within their Circles. This is akin to retweeting or sharing on Facebook. Circles make it easy to segment messages to different audiences, tailoring your message exactly to the audience you select. It’s very important to regularly review your performance. Google+ makes that easy with analytics. Google+ can improve rankings, which is something we all want for our businesses online. One of the first things you need to do is fill out your information on the about page. In the other profiles section, make sure your first 3 links are the most important ones, as they will most likely be used in search results. The same goes for the rest of the profile, make sure you are using appropriate keywords. Anywhere you can include a link, do so, always making the top 3 the most important. Google+ improves rankings, because you tell it to. Like Facebook and Twitter, Google+ has a “+1” button for business sites that lets web users "+1" a particular page on a website. This is a big help with search engine optimization (SEO), because as traffic grows and 1+’s proliferate, businesses can identify their most popular content. Google traffic from searches is considerably higher for pages with "+1" buttons. Here's information on adding the button. If you were wondering whether or not you should take the plunge into Google+ for your business, the answer is YES. Anywhere you can get this kind of free exposure and increase in ranking for your website is a good thing – and a good time investment for your organization. Compass Media offers social media marketing plans that can help your business thrive on social media. If you would like to talk to someone regarding social media plans or any marketing services we can provide, please feel free to check out our website and contact us at 251-967-7551. Gulf Shores, AL (February 12, 2013) – Great news for fans of the Bulls on the Beach event – the 2013 dates are set and the cowboys are ready to ride, March 16, 23, and 30 at The Wharf in Orange Beach. This year’s event, sponsored by Jim Beam, The Wharf, Coast360 and Compass Media, will feature appearances by stars from the CMT shows “Sweet Home Alabama” and “Southern Nights,” and will include professional bull riding, fireworks and children’s activities. In addition, marketing partner and sponsor Compass Media created and launched a new event website on February 12. Go to www.bullriding247.com for up-to-date information about the event, the bulls, the riders and more! Tickets can be purchased from the website and the box office at The Wharf. For more than two decades, Compass Media has established its tradition of achieving results for those companies and organizations whose business it is to promote their businesses, services, and destinations. Our clients, including destination marketing organizations, retailers, vacation management companies, attractions, accommodations and more, benefit from richly and skillfully crafted custom publications, magazine and newspaper inserts, custom guides, and innovative integrated marketing services. Compass Media has one of the industry's most experienced teams in the industry heading the interactive and social media departments. Compass offers clients easy and affordable options for initiating and/or incorporating Web technologies into programs in order to maximize results, reach new markets, and engage and maintain communications with target audiences. More than 800 clients from across 12 states rely, every year, on Compass Media's particular expertise in connecting Southern travelers with destinations. The Lt Governor’s Tourism Summit is little more than a blur, though I do recall that it was a delightful week-long event. This year’s Louisiana tourism summit was held in Lake Charles and it certainly lived up to its tradition of being an exciting event. Hosted by L’Auberge du Lac, the property was an experience unto itself. Nestled on the banks of the Calcasieu River, the facility was simply fabulous. The attendees were absolutely fantastic – Lt Governor Jay Dardenne spoke eloquently and extemporaneously regarding the challenges tourism faces, the opportunities he sees and his plans for the future. Assistant Secretary of the Department of Culture, Recreation and Tourism Kyle Edmiston and his staff gave informative and edifying information covering the various aspects of his department. Breakout sessions were refreshing and informative, especially Stuart Ellis-Meyers, who brought down the house. Irvin Mayfield played at the luncheon (which was delicious of course). His musical genius is peerless. Naturally, the highpoint of the trip was reconnecting with all the tourism worker bees across the state. Louisiana’s tag line, “Pick your Passion” pretty much nails the tourism community in Louisiana. What a passionate group of folks! Last week we had the distinct pleasure of attending the Southern Foodways Alliance Symposium in Oxford, Mississippi. This group of passionate Southern foodies documents and celebrates the foodways and people that make the South such a unique dining destination. And, they know how to pass a good time! This year's Symposium focused on BBQ and included everything from The History of the Pig to renowned writers espousing on their favorite BBQ joints. Of course, there was also plenty of great food and drink: whole hog cookouts, grilled smoked oysters, greens, beans and more! Kudos to the Southern Foodways Alliance for assembling such a terrific agenda of speakers, chefs and presenters - and for serving up some serious Southern hospitality. Such a delicious event! Learn more about the Southern Foodways Alliance here. On Wednesday, June 27, we set out for another day of turtle nest hunting with volunteers Jan and Ken Taylor. When we arrived, Jan informed us that the team members from the U.S. Geological Survey had departed after completing their turtle tracking duties over the past month here in Gulf Shores. Since the beginning of the turtle nesting season on May 1, USGS team members have been scouting the beaches during the early morning hours, flagging off any turtle nests that are located. With their departure, it is now completely up to volunteers to locate the nests during their walking shifts each morning. "This is when the fun really starts for us," said Jan. "Since the tracking team is gone, we now get to walk the beaches and be the first to discover the nests." During the course of our walk, Jan received a text message stating that two crawls had been located along Laguna Key. After completing our designated section, we rode with the Taylors to the first crawl location. Once we passed over the dunes, it became quite apparent that this was one adventurous turtle based upon the tracks left behind. The turtle left a large U shaped crawl beginning at the water and not changing directions until the dunes. "During the entire time we have been involved, we have never seen a crawl that reached this far back," said Jan. After some thorough observations of both crawl sites, they concluded that no nestings had occurred; what volunteers like to call a "fake crawl". The current nests are still under observation, and we will keep you updated on the status of newly discovered nests as we receive information! On Friday, June 22, 2012, we headed back to the beach for our second turtle adventure. This time, we were greeted by volunteers who shared two common elements: a passion for saving turtles and the name Debbie. Debbie Kline and Debbie Willis have been involved with the Turtle Walk program for four years. We walked a four-mile stretch known as Laguna Key, which is broken down into several sections monitored by designated volunteers throughout the week. With Tropical Depression Debby brewing in the Gulf, many were concerned that high winds could raise the tide line and potentially wreak havoc over turtle nesting. A storm will push water in and potentially affect the turtle nests, said volunteer Debbie Willis. When the tide line rises, the crawl of the turtle is washed away, making it challenging for volunteers to locate nests. However, the biggest fear is the safety of the eggs themselves. As the tide line rises, the risk of water entering the nest and drowning the hatchlings during the incubation period is increased. Debby (the storm, not the volunteer) veered east, sparing the turtles this time. But, given the added challenges of our Gulf hurricane season, volunteers remain vigilant scouting for turtle nests and doing everything they can to prepare these little guys, and girls, for their big arrival here along the gulf coast. Compass Points Blog by Compass Media, Inc. is licensed under a Creative Commons Attribution-ShareAlike 3.0 Unported License. Based on a work at www.compasspoints.com. Permissions beyond the scope of this license may be available at www.compassmedia.com. Compass Points is the official blog of Compass Media, Inc., a full service marketing agency specializing in Southern U.S. destination marketing. Compass Media provides custom publishing, interactive marketing, online marketing, and event marketing & public relations services. (c) 2011 Compass Media, Inc.. Simple theme. Powered by Blogger.